them to make them the best they can be"
Hey! 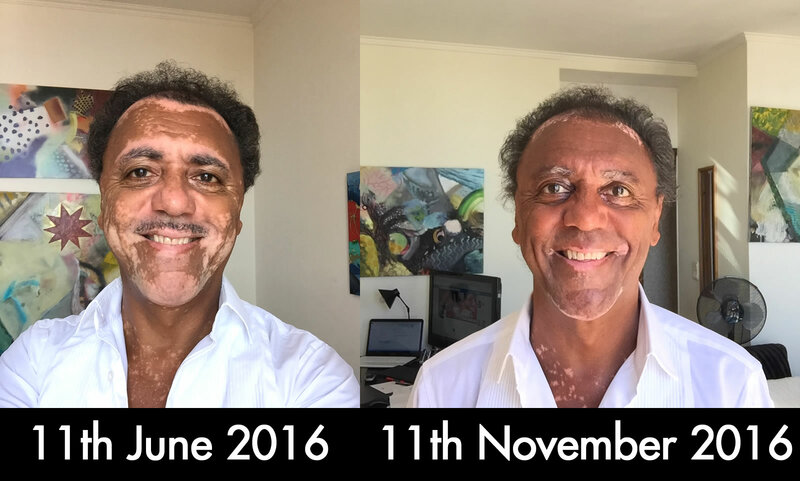 welcome to my Vitiligo website, it's for people with vitiligo or people who have a loved one with vitiligo. 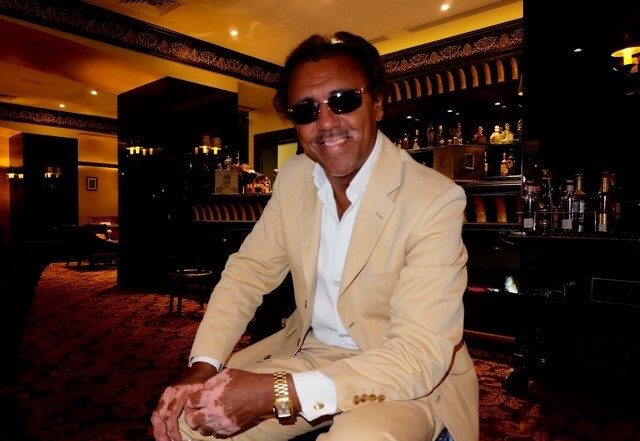 I'm Carl Henry, I've had vitiligo since 1976, when I went to the dermatologist I was told "there's nothing we can do". As it was not "life threatening" I just decided to live with it as it was mainly on the back of my neck. 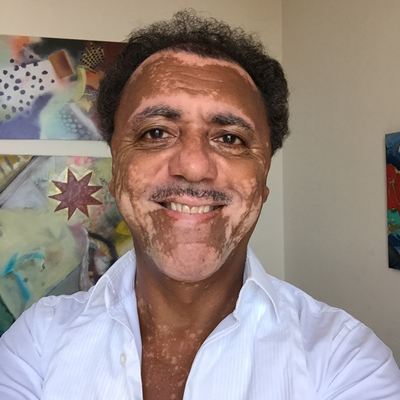 at being 'me' despite the vitiligo. In fact many people saw it as 'characterful'. I did not worry too much about it until about March 2016 when the white patches spread really quickly across my face eventually covering about 70% of my face. 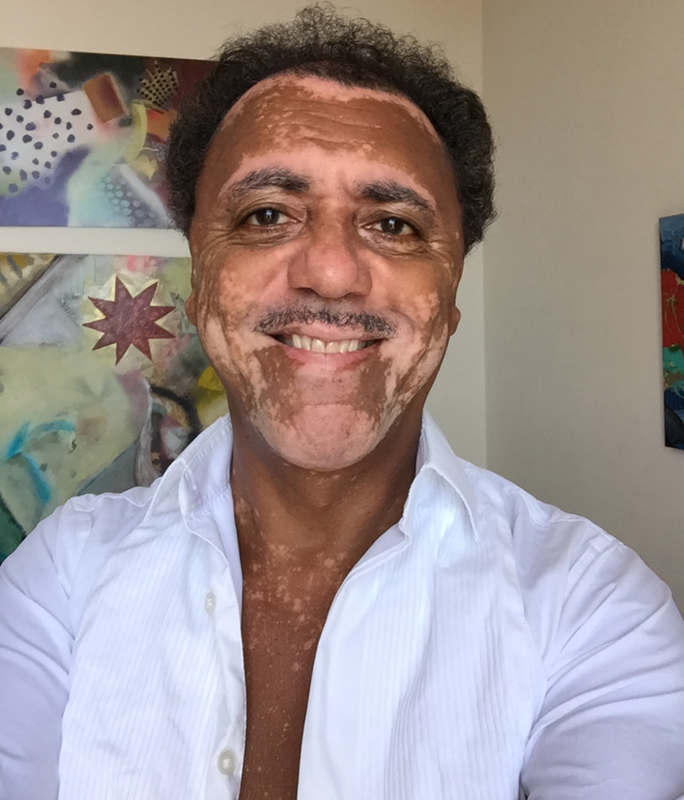 I must admit I was really shocked for the first time in my life, I'd had vitiligo for over 40 years and had become accepting of it but this amount of depigmentation so quickly destabilised me - unfortunately, even though I tried to hide my feelings and cope with it, I let it effect my whole life and my relationship very badly. Initially I tried covering the patches with "Zanderm Concealer Pens", which worked well, but as there were so many patches it was a big job each day (they are very good for smaller areas and 'touch-up's during the day). I decided to go back to see a dermatologist for the first time in 40 years!!! 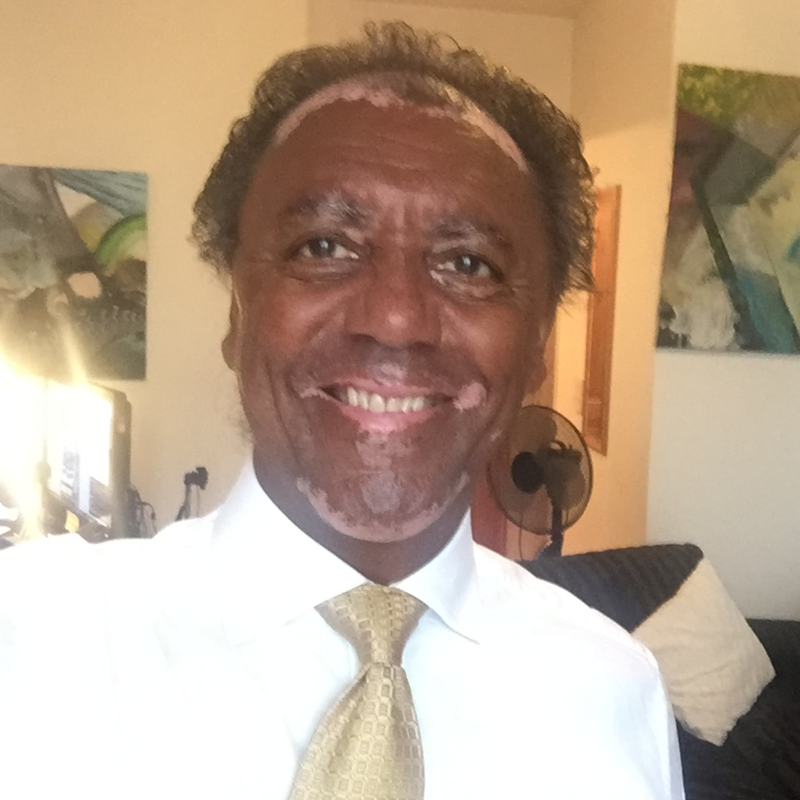 At first I did not see any change, so my girlfriend who had been working in Dubai where they have darker skin bought me some dark foundation called "No7 Stay Perfect" (Walnut Shade), with a Cleanser which gave me instant results and built my confidence. Keeping your confidence high while the treatment you are employing has time to work is very important because nothing is quick so you have to stick at it to get results. 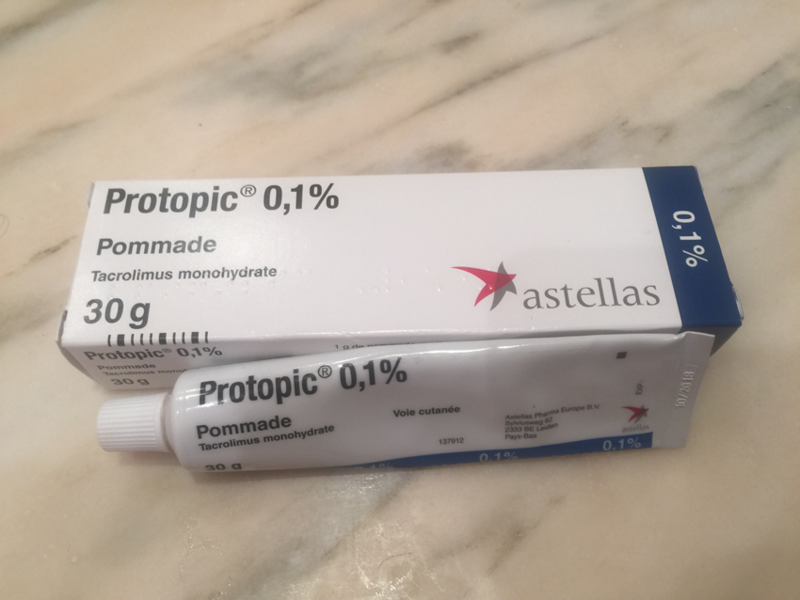 I continued with the Protopic cream and slowly over months of twice daily application and daily exposure to the sun; I saw small 'freckles' developping which gradually got bigger and joined-up. You can see the results above following 4 months of application. I am still part way thourgh the process of re-pigmentation but very encouraged with my personal results. My objective with this website is to bring together various resources and curate information from around the web. 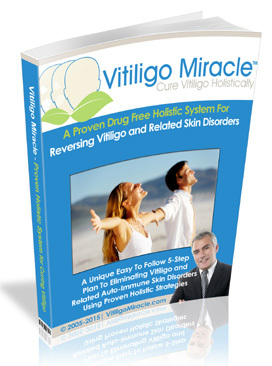 All of these resources and information are focused on either reversing the effects of vitiligo or fast cover up options so you can build your confidence and get on with your life. Please always take advise from a properly qualified dermatologists (although if they are not helpful get another opinion). Also what ever you read on this website make your own investigations and make your own checks before taking actions. Unless I say I have actually used a product myself, this means I have not tried the product or service - by including a product or service on this website DOES NOT imply my recommendation. I am not medically trained and no content on thios website should be considered my advice. Good Luck with your objectives!